Kratom itch: Is it Part Of The Kratom Experience? It’s all out there, information related to the herb that has caused mixed feelings all across the board. Unfortunately, there are misconceptions about Kratom. If you are going to do, then you’ll need all the right information you can get. Some facts need to be straightened out. Kratom is only a new player in the niche, and as it were, there are some filtered or ignored information related to it. 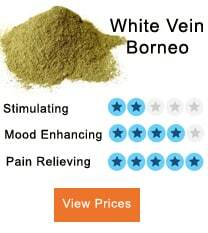 One of the questions doing rounds on forums and the internet is; does Kratom cause an itching effect? 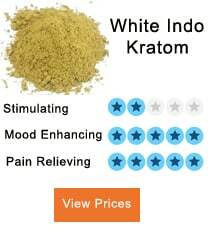 The other version of the problem does; Kratom cause an itch similar to that of the opiate itch? Different eventualities linked to Kratom itch. 1 Different eventualities linked to Kratom itch. 2 Why does Kratom cause Itching? 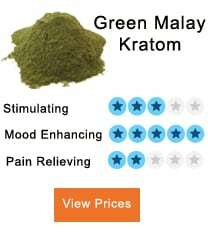 3 How to stop itching from Kratom? 4 How bad can the itching get? To make it more relatable, the following events describe how Kratom users experienced an itch after using the herb. The informant describes how they experienced an itchy feeling under the nose and on the face after using the herb for the first time. After several encounters with the substance, the itching ceased. The user reported having taken a break from using the herb after which they started experiencing an itch. It’s worth noting that before the break the user never experienced any episodes of itching. After using Kratom for a considerable period, the itching stopped. Another user claimed to have experienced the itching effect from time to time. 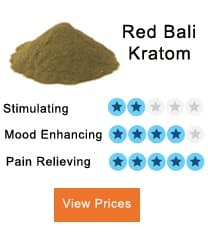 They narrate how the itch occurs when they take a heavy dose of Kratom or when they use a different strain relative to their pattern of Kratom-strain use. After a few weeks of using the herb, the itching stopped. This brings us to the question, can Kratom make you itch? Yes, Kratom can cause an itching effect. Ideally, there is a reason behind the itching. Why does Kratom cause itching? Why does Kratom cause Itching? Now, millions of patients have tremendously benefited from the use of opioid herb to relieve pain. In most cases, the pain relief is accompanied by some intense itching. So much so that in some instances, the users opt out of using the opioid substances as painkillers. This means, since Kratom is an opioid substance, the itching effect can be closely tied to that caused by opioid substances. Until recently scientists and experts assumed that the itching caused by opiates could not be countered since the herb actively interacts with the nervous system. Therefore, the itching effect that comes from Kratom use occurs due to the interaction of the substance and the nervous system. In the nervous system, there are four receptors that respond to opioids. Opioids psychological effects are hard to predict. Therefore some opioids interact with all four receptors. This, in turn, accounts for the difference in the amount of pain relief and further translates to the variance in the itching patterns in different users. 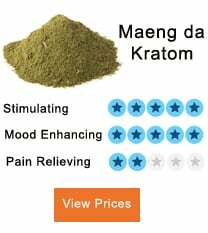 How to stop itching from Kratom? Controlling the itch from Kratom is possible. There are several relief methods you can use to get rid of that annoying itch. 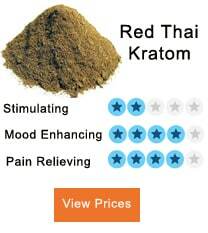 It’s hard to get the best out of that Kratom experience when you have an itch constantly gnawing at you. It’s worth noting that in most cases, the itch subsides after a few more encounters with Kratom. To that effect, the itching is variant to the type of strain, the dose, and tolerance to the herb. Stay away from the sun and keep cool. The suns heat will make the itching worse. Avoid taking a hot bath or shower. If the itch is in a concentrated area, place a wet face towel or a pack of ice on the area. Try using over the counter oatmeal bath products. Apply some moisturizer after or before you indulge. Avoid scratching as much as you can. Avoid wearing acrylic and wool. For mild itches, you can use the 1% nonprescription hydrocortisone cream. Apply the cream sparingly in the itchy area. Furthermore, you can use nonprescription antihistamines such as loratadine (Claritin), or chlorpheniramine, and Benadryl (causes drowsiness more than antihistamines) for every 4-6 hours. Sometimes a combination of Kratom with other substances such as cannabis is known to reduce the itch. In case you want to try out any new herb to lessen the itching, it’s recommended that you consult a specialist first. The last thing you want is combining a natural anti-depressant such as MAOI with Kratom; the outcome can be fatal. In some cases, the itching might be caused by a neuropathic disorder. How bad can the itching get? Some people enjoy the itch and justify it as part of the Kratom experience. Remember, the longevity of the itch and intensity of the itch are dependent on certain factors such as the type of the strain and the tolerance built by the user. For instance, an itch after the use of Kratom often occurs in new users than long-term users. More often than not, it’s hard to break the itch cycle, where the skin itches and you instinctively scratch it. However, getting rid of the itch is easy, some Benadryl or cream will work excellently. Cases of Kratom leading to a chronic itch have not been reported.